Each August, the Northern California seaside retreat of the Monterey peninsula plays host to some of the most extraordinary automotive masterpieces in what is unofficially known as the Monterey Classic Car Week. 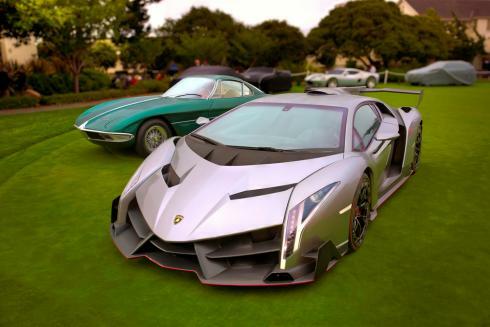 Billed as a luxury motorsports garden party, The Quail gave privilege to see the North American debut of the amazing Lamborghini Veneno as well as the 50th anniversary editions of the Aventador LP 720-4 Roadster and the Gallardo LP 560-2. Concorso Italiano was a celebration of all things Italian on the manicured grounds of the Laguna Seca Golf Ranch. Attendees got up close and personal with some of the most notable Italian motor vehicle icons. 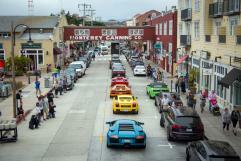 In honour of the brand’s 50th anniversary, a parade took place through downtown Monterey with a fleet of Lamborghinis leading the way. Following the procession, an invite-only Ride & Drive event was held nearby at a private home along the Pacific Coast Highway. As always, Sunday marked the finale and pinnacle event of Monterey Classic Car Week, the Pebble Beach Concours d’Elegance. 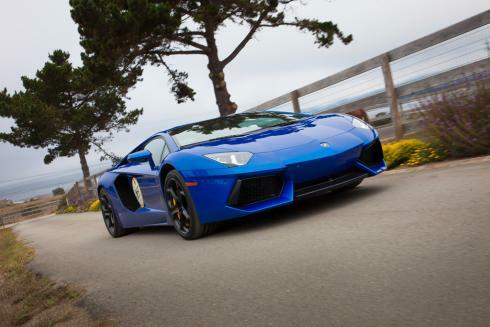 This year, Concours featured the Lamborghini marque as it celebrates its 50th Anniversary. Automobili Lamborghini President and CEO Stephan Winkelmann was an honorary judge, and the brand displayed two very special vehicles on the Concept Lawn – the Lamborghini Veneno and the first-ever “Bull,” the 350 GTV, which is rarely seen on North American soil.